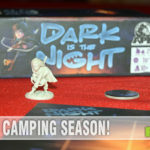 One of the things that gets us excited about the state of the board game industry is the consistent improvement being done on game mechanics. We have progressed from a roll-and-move society to one that demands the removal of luck from the game and a focus on strategy and tactics. 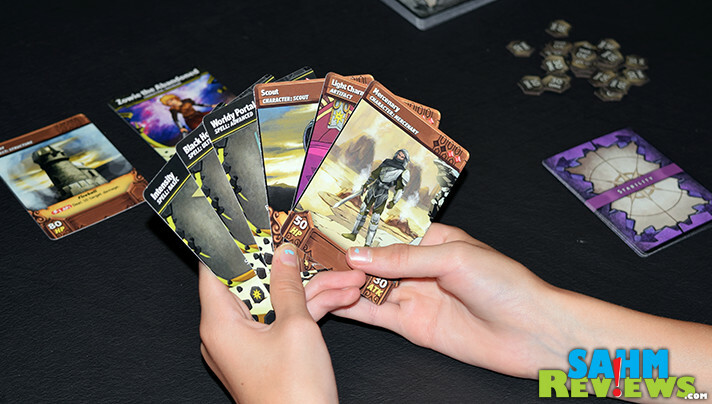 One area we’ve seen huge progression is the world of card battle games. We’ve covered a lot of Magic the Gathering alternatives over the years, each with a new take on the head-to-head genre. 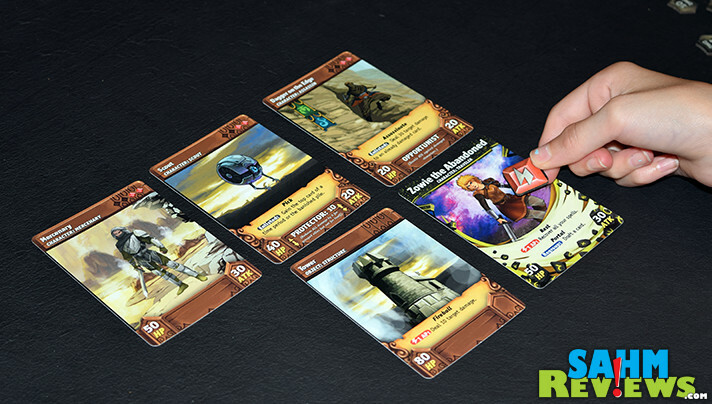 Castle Assault, Fantahzee, Mage Wars Academy and Hero Realms are but a few examples of card games that bring their own ideas to the table. 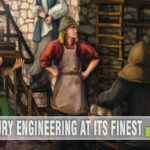 At Gen Con this year we got to take a look at this brand new Kickstarter campaign for Temporal Odyssey by Level 99 Games / CGC Games that wants to streamline the play a little more. Kickstarter games aren’t something we normally cover since there is some risk in backing a campaign and then possibly having the creators not fulfill their obligations. So what makes this one so special? 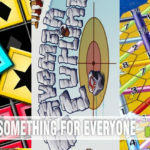 The companies behind the project are well-known throughout the gaming community and have already issued a number of games, both through Kickstarter and direct-to-market. We feel confident enough about their ability to perform that we have no issues bringing this game to you. So why should you consider backing Temporal Odyssey instead of just purchasing one of the titles mentioned above? As I previously mentioned, each newly-issued game tries to solve a problem with a new idea, and Temporal Odyssey looks like it will do just that. 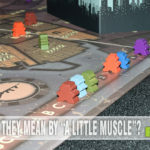 Using a unique combination of hand-building along with quick play, it could certainly become your battle game of choice. As with any Kickstarter work-in-progress, the photos we show are of a prototype version of the game and may change some before the final product goes into production. Same goes for some of the game play and rules, so we’ll just touch on the few things that are unique to Temporal Odyssey that sets it apart from other games of this type. Plus, depending on the amount of funding, stretch goals could be unlocked that give the buyers much more than they originally expected (a good thing)! 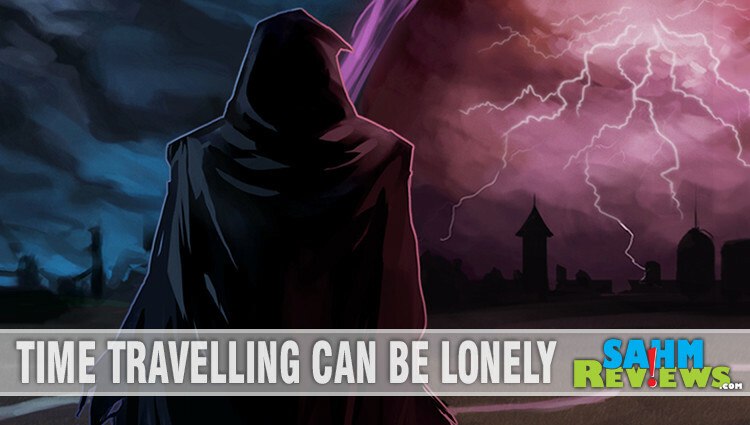 Each person is playing the game as a traveler using spells, objects and artifacts to cause your opponent to become ‘unstable’. Unlike other games, in Temporal Odyssey you can become unstable (die) twice before being considered defeated. 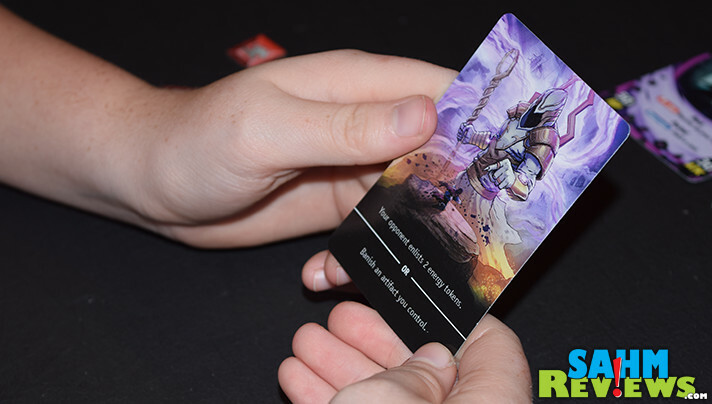 This gives you time to react to your opponent’s hand of cards and hopefully craft a hand yourself that will defend against their attack. Cards are drawn from one of three decks representing the past, present and future. 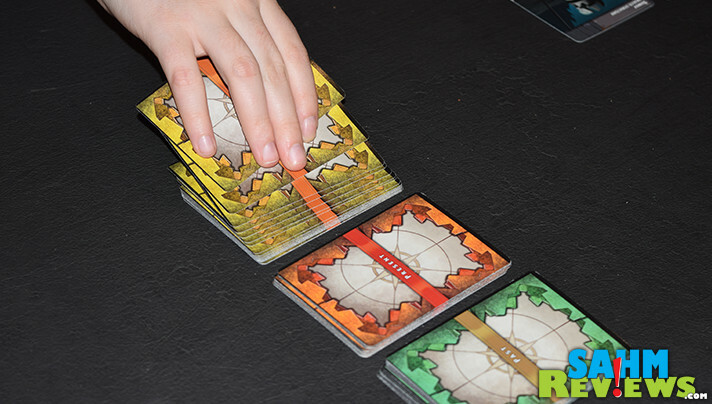 Three cards are drawn by each player, one is discarded from the game, one goes into the player’s hand and the last one is placed face-up on the top of the draw stack. This helps you rid the deck of cards you know will help your opponent while still allowing you to craft combinations of your own. Card placement is as important as selection in Temporal Odyssey. 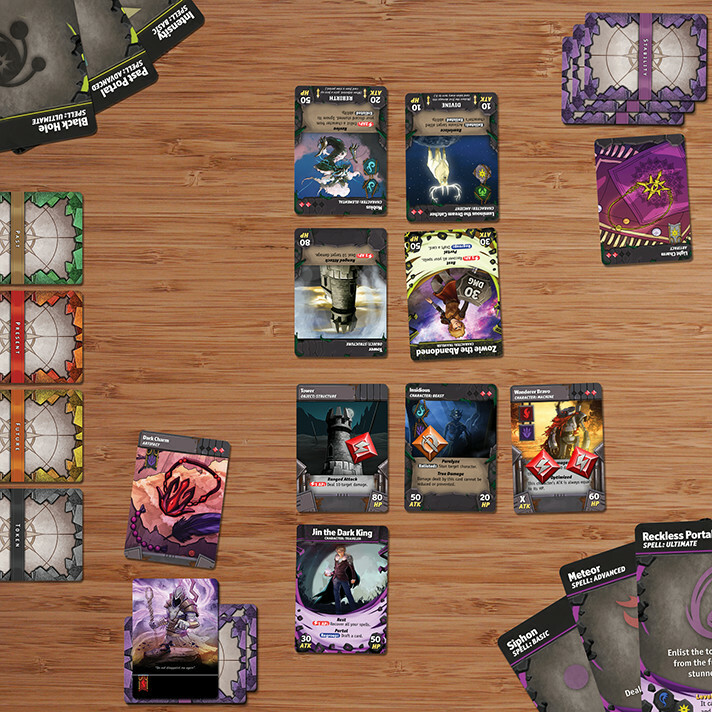 Characters are laid in front of you in groups with other cards, with one being the leader and the other acting as support (which cannot be attacked). Many cards have abilities they can share with other members of their group. This allows for powerful combinations to be created, on both offense and defense. Spells can also be bolstered by combining them with Element cards, turning a basic spell into an advance or even ultimate spell, depending upon the number of elements used. Temporal Odyssey has chosen to limit the amount of defensive surprises to keep game play quick and easy to determine. You don’t have to worry that attacking someone will unleash a demon or spring a trap. It’ll be fighting head-to-head in its truest sense. We’re excited to follow the Kickstarter campaign and see the progression of stretch goals, finalized artwork and tweaked game play rules. If you want to learn more about Level 99 Games or CGC Games, check out their Facebook1 2 and Twitter1 2 pages to see everything they’ve worked on in the past. You’ll realize you’ll want to be the first to get your hands on Temporal Odyssey – so make a pledge on the upcoming Kickstarter campaign! Have you ever backed a game on Kickstarter? I have never backed a game on Kickstarter. 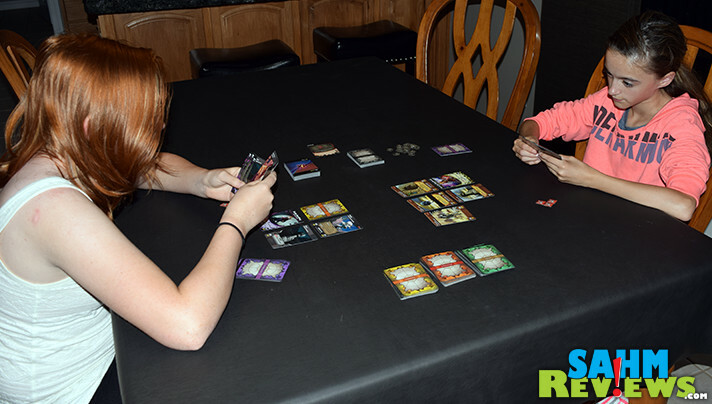 Card games have a number of great features, including that they’re easy to store and travel pretty well. Wow I am pretty sure my kids would love to play Temporal Odyssey, looks like an interesting game for sure. I love all of the family games you offer here, thank you! I have not seen this game before! My son is starting to to want to get into more games, this looks like one he would like to play. This looks like a fun game that my kids would like! You always do such a great job of explaining the directions as well as the ins and outs of the games, this one sounds great for people who like magic and role playing types of games.